In the medical circle, the circadian rhythm sleep disorder is also known with its various other names such as non-24 sleep/wake syndrome, advanced sleep phase syndrome, delayed sleep phase syndrome. Circadian rhythm regulates various biological processes in living systems. And, the most obvious amongst the all is to control the daily sleep wake cycle in the human as well as in the other animals. Whenever a circadian cycle is disrupted either by environmental effects or by genetics, disorders in diverse physical or physical processes may occur. Circadian rhythm sleep disorder is one of the similar disorders that that occur due to disruption in circadian clock. What Causes Circadian Rhythm Sleep Disorder? Typically, there are three main conditions that may cause circadian rhythm sleep disorders – environment, age and medical condition. The environmental conditions affect the sleep temporally. For example, jet lag. It is a circadian rhythm sleep disorder that affects sleep patterns for a week or two. A few chronic diseases or some medical conditions also alter sleep patterns. For example, blind people who have no light perceptions suffer with circadian rhythm sleep disorders. Circadian clock follow the pattern of light and darkness of the day, and when the blind people do not get any light perception, their body clock also does not get any light signal and drifts to its own pattern which is called a free-running sleep pattern. Also the patients with dementia (mostly the old age people) experience disturbance in their sleep/wake pattern. Elderly suffering with Alzheimer’s or Parkinson disease have increased agitation at the night which is commonly known as sundowning. This happens due to disrupted circadian clock. Night shift work and modern lifestyle are also the factors that cause disruption in the body clock. 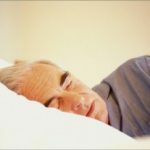 Circadian Rhythm Sleep Disorder – Genetically Inherited? Although, the environmental factors and age influences the circadian clock but evidences are there that strongly suggest the influence of genetics in a few of circadian rhythm sleep disorders such as advanced sleep phase syndrome or other of a similar symptoms. To understand the genetic basis behind these sleep disorders, sleep studies are being conducted. These studies are working on the single direction to find out the linkage or the associations between of genetics and circadian rhythm sleep disorders. Until now the researchers could find out that sleep disorders that runs through generations are inherited by a single gene. It is exactly the same as the eye color that is evident in generations of a family. 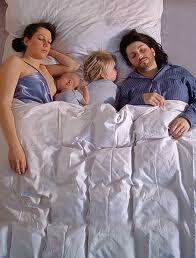 Sleep disorder that shows genetic influence is known as Familial advanced sleep phase syndrome. A research done by the University of Utah on three families to find out the genetic influence on their sleep, found that 29 persons in these families were identified with the disorder. When its pattern charted through a family tree, they see that this inherit pattern is travelling in the members of the family through a single mutual gene. Now researchers are being done to identify the gene involved in the circadian rhythm sleep disorder.